Here's the other half of the Portland Black Lipstick Company Lipsticks. I'm normally not a metallic lip product type of girl because I don't usually like how it shows off my lip lines but I have to say that these lipsticks are changing my mind. I think the colors look SO cool on, I'll deal with the lip lines and the weird stares I get. 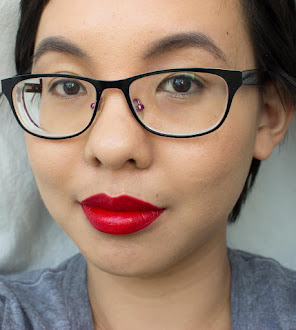 I wrote a review on the formula, wear time, plus pros and cons of everything in my last post where I swatched the first installment of lipsticks so feel free to read it there. These lipsticks were all applied with my finger and all the pictures were taken without flash in natural daylight. Gilded Lily: "Remember your postmodern culture class? You are text, and what text couldn't benefit from some illumination? This shiny, beautiful gold will highlight your every discourse" This was applied a little sheerly, you can most definitely get opaque coverage out of this. There was a slight metallic scent to this but the mint in the formula helps to overpower it. Indigo Bridge: "This is a dark, metallic blue that verges on black". I loved this if only because I think it's the perfect navy blue. I have good thoughts about dark wash denim jeans. Irony: "The rouge to our noir, Irony is a warm, metallic, red lipstick that derives its color from cosmetic grade iron oxide red (Get it? Iron-y!! Ha!)" This and Bad Penny (in my other post) tie for my favorite lipstick colors from the line. It's like the perfect metallic maroon, I love it and I want to marry it. Metallurgy: "This unique lipstick is forged from black, green, and gold colors to produce a truly unusual metallic experience. The results are surprisingly sophisticated but with the primitive boldness you have come to expect from Portland Black Lipstick Company products" An olive lipstick is probably a strange sight but oddly enough I really like the color. It really reminds me of army fatigues . This Corrosion: "The charm of decay can be yours when your lips are the color of purified rust". It applies a little lighter than it appears and it reminds me of a burnt carrot orange. When I saw it in the bag, I didn't think I was going to like the color but I'm actually fond of the orange. Undead Red: "A dark, dark red that wants to be called 'plum' or something". This errs so close to brown but there's a red purpleness to it that makes it more plum colored. It's not a typically pretty color but somehow I'm drawn to it. Anyway, that's all fourteen lipsticks! Do you like any of the lipsticks and will you be getting any? Disclaimer: I received these lipsticks and lipstick samples for free for review. I wasn't paid to review and none of the links are affiliate links! From this batch, I really like Undead Red and Lux et Voluptas. :) I'll be getting these along with the Blood Red. Thanks for the review and the swatches! Irony, Undead Red & this Corrosion look awesome! The others do too, but I can't see me ever wearing the darker shades. 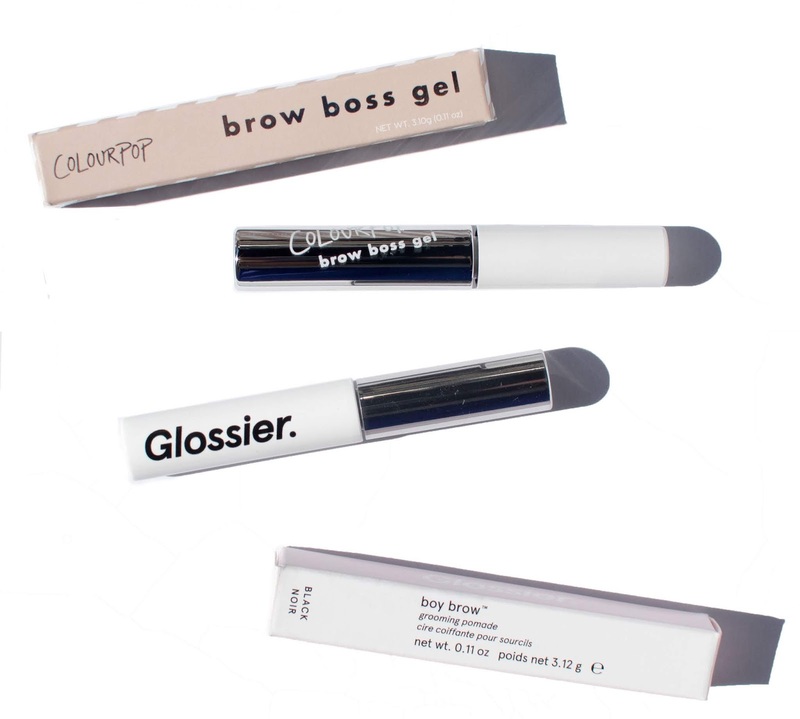 One question...how to get a baby-lip like yours? i'm struggling hard with chapped lip issue T_T ..help! Your lips are like... perfect. LOVE 'Gilded Lily'! So pretty! I am infinitely jealous of your lips!!! I've always liked my shape, but yours? Perfect. Supreme. Just....count yourself lucky! I also love the finish on these lippies. The pigment level on most of them looks ideal- enough to be true to tube, not so much they're gloppy. I'd have expected Lux et Voluptas to be a bit more pigmented, but it's still beautiful (and since it's buildable, no harm done). I'd really consider trying any of these! I so jealous of your lips! Thank you so much for this! I love PLBC and have a few of their lipsticks and glitters, but have been wanting to try more. Sadly their swatches and descriptions aren't always super useful, so this was perfect! I'm definitely gonna get Lux et Volupas and Gilded Lily! A lot of these look really good on you. The Indigo Bridge surprises me -- it looks so much nicer than I thought it would! Thank you for these very helpful swatches.